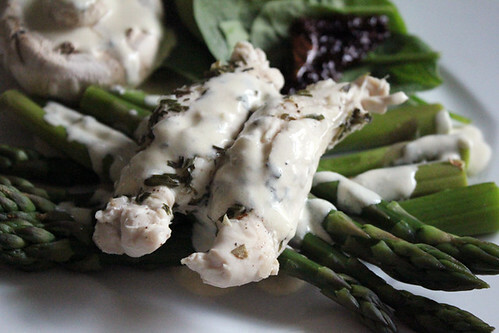 Steamed Chicken and Asparagus | Abandon Spoon! So it’s currently asparagus season which makes me very happy as its one of my favourite vegetables and I don’t like the idea of buying too much food that has been flown half way round the world if I can help it. This dish would be quite healthy if I hadn’t put a cream and blue cheese sauce with it- but I just can’t help myself- I love the bad stuff too much. 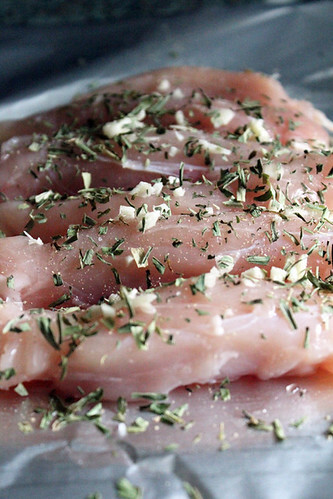 First I placed the chicken fillets on a piece of tine foil and sprinkled it with chopped garlic and tarragon and seasoned with black pepper and salt. I then wrapped the foil so that the chicken was enclosed in it and placed it in my steamer. 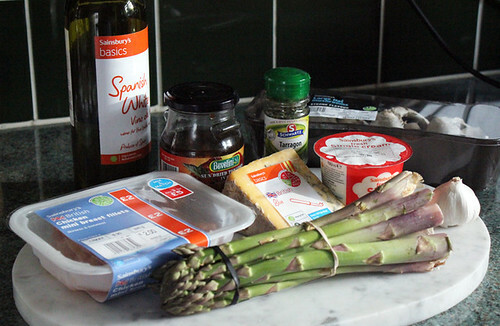 I then prepared the asparagus and put them aside. I made the sauce using single cream on a low heat and gradually melted in the blue cheese making sure it didn’t boil. Seasoned with more garlic salt and pepper. Once thickening I added a splash of white wine continually stirring. I put the asparagus in a separate steamer compartment on top of the chicken once the chicken was almost cooked. I love asparagus when it’s still a little al dente. Once it was all cooked plated up with some baby spinach to garnish and large flat mushroom. I poured the sauce over the asparagus and chicken, it’s very rich so not too much to spoil all the other flavours. And Voila! 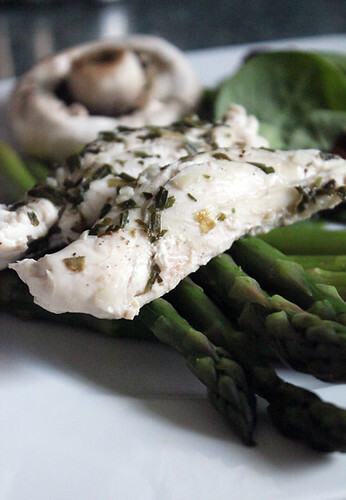 I like steaming the chicken as it doesn’t dry out, and the asparagus keeps all its yummy goodness and vitamins.